The film stars Tilda Swinton, whom I have had a huge girl crush on since I saw the film Orlando. I am mesmerized by her elegant, pale androgyny, cutting edge style and her ability to completely inhabit every character she plays. She was perfect in the role of the White Witch in the Narnia series and brought a depth and pathos to the role of the tormented mother in We Need To Talk About Kevin. 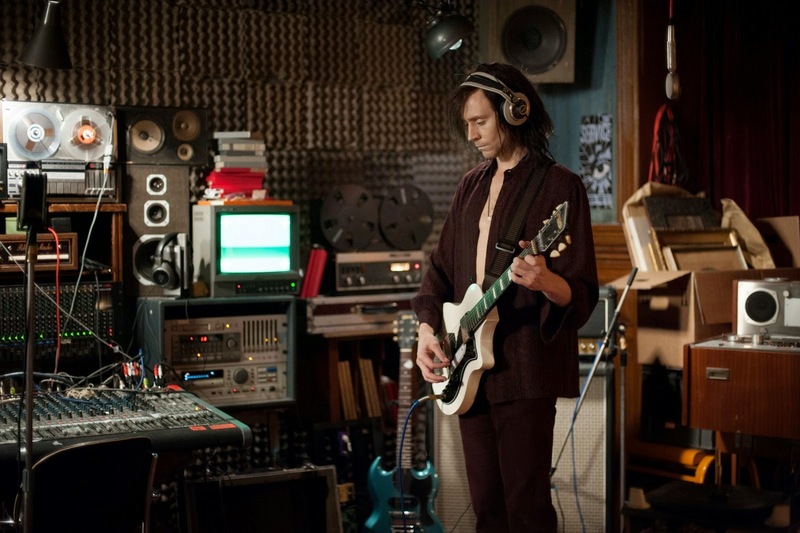 Only Lovers Left Alive is a typical Jim Jarmusch film (others include Dead Man, Broken Flowers, Ghost Dog, and Down By Law) in that nothing much happens; the film moves at a languid pace, and viewers are free to focus on the gorgeous visuals and hypnotic soundtrack. The two main characters, played by Swinton and Tom Hiddleston are vampire husband and wife, Adam and Eve, who are romantic collectors of art and culture of times past. 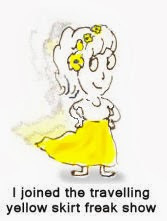 Eve is a stunning wraith clothed in cream-coloured leather and suede, or elaborately embroidered robes. She lives in a luxurious book-filled apartment in Tangier where she hangs out with fellow vampire, Christopher "Kit" Marlowe, played by John Hurt. Adam, a reclusive rock musician, is a study in black, in wardrobe and mood. He spends his time acquiring beautiful vintage guitars via a"zombie"(his word for humans) lackey and uses them to create dirge-like music in his huge, dark, mess of house in Detroit. These are not the vampires of True Blood, or any of the other recent film creations - Jarmusch plays with the vampire genre and creates elegant, world-weary creatures who form allegiances with "zombies" who provide them with "pure" blood that is sipped from tiny crystal glasses. At one point Eve notes that biting a human is "so fifteenth century". Swinton is one year older than I am, and I was delighted to see her paired with an actor 20 years younger as her romantic lead. 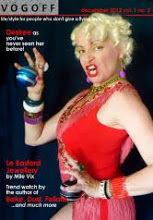 Many thanks to Mark, my patient and talented photographer, and to the Fabulous Swinton for her continuing inspiration. 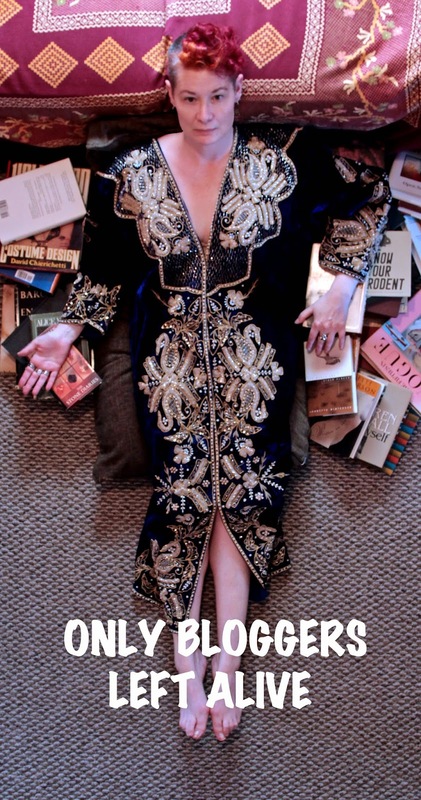 Velvet embroidered robe, which is usually hanging on my wall, found at The Sentimentalist. To see more of Mark's photography, check out his Facebook page. OMG, I must see this film! I adore Tilda, she is truly magnificent!!! I think Orlando and I Am Love are my favourites of hers. Fantasmo robe, lovey! Keep working those gorgeous curls! You look amazing, you'd definitely give Tilda a run for her money. wouuu, I'm another Tilda Swinton's mesmerized victim, she's fascinating and gorgeous and mysterious! !, and I would love to watch that film, because I also like Jim Jarmusch films (most of them), so your post is just candy for my eyes, from the moment I see Tilda wearing her fabulous embroidered caftan on a montain of books, to your glorious recreation, so cool and awesome and sassy!! I love Tilda. I love how she holds herself and "owns" every role she's in. Brilliant photo homage to movie. I enjoyed the slow pace/unraveling of characters and will have to check out others by that director. You in that robe!!!!!!!! You are perfect! I love it! I can't wait to see this movie! This film sounds right up my dark alley, you describe it so wonderfully I must see it now! The photo of you is mesmerizing, that robe looks like something worthy of a vampire and your hair makes me happy every time I see those colorful curls. Mark did a killer job and you survived, WIN! You gorgeous creature you! Your interpretation is truly inspired! Wouldn't it be grand to see you in a film with La Swinton (and younger lovers). Real role models for real zombies. holy cow, you look amazing! As they say in the trailer " not coming to a theatre near me" I'll have to wait for Netflix. Best Blogger Photo Ever!!!!!!!!! Definitely the cover for your next book. On my way to see the film today. What's not to like? Jarmusch, Swinton and vampires, mmmmm. 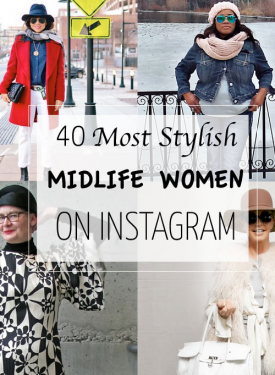 Spectacular blog! You do have a gorgeous doppleganger. The photo spread is divine. Kudos. Forget Swinton - you're the one I'm looking at. WOW! That is the BEST PHOTO. You and Mark are a great combo, genius. That is an amazing robe. I hope you have more occasions to wear it. Thanks for the review. 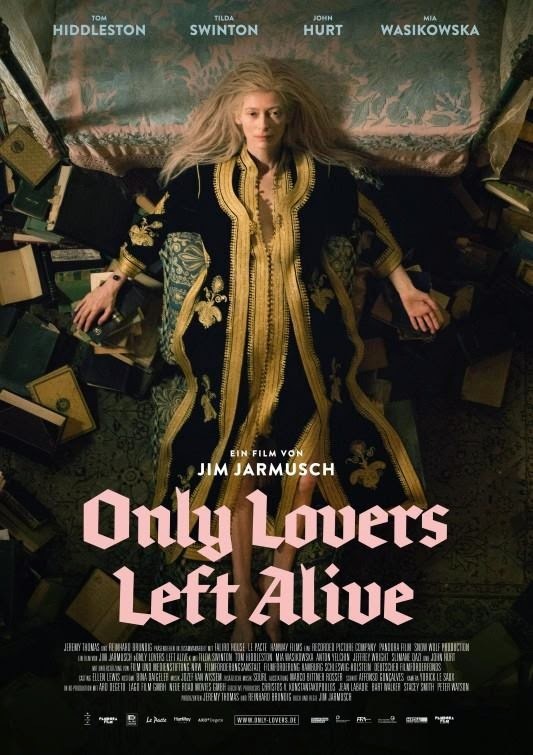 I'm a huge fan of Jarmusch and Swinton, so I won't miss this movie. Wow!!! This is one for the 'best of.' Breathtaking expression and velvet embroidered robe. I love art with my Thursday morning coffee! Holy cow, you are just amazing! I am blown away by that fabulous gown and your own fabulousness, Shelley! I adore SWINTON too (and Jim Jarmusch's films). Wanted to comment before on this wonderful post, the last pic is a chef d'oeuvre! Ah! i wish i had the health, the energy do to something original like you but i have not the energy or full health these days, but ok it's life! How cool is this photo? I want/need a friend like Mark! Wow the gown and the hair are so wild. Swinton is so ethereal and surreal. Kind of like watching a dream, or a nightmare...depending on the character she is playing.